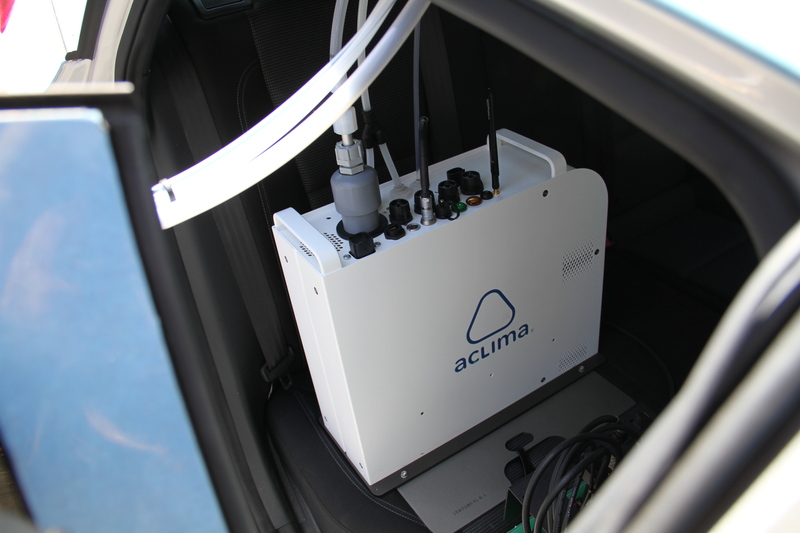 Aclima, a San Francisco-based startup building Internet-connected air quality sensors has announced plans to integrate its mobile sensing platform into Google’s global fleet of Street View vehicles. Google uses the Street View cars to map the land for Google Maps. Starting with 50 cars in Houston, Mexico City and Sydney, Aclima will capture air quality data by generating snapshots of carbon dioxide (CO2), carbon monoxide (CO), nitric oxide (NO), nitrogen dioxide (NO2), ozone (O3), and particulate matter (PM2.5)while the Google cars roam the streets. The idea is to ascertain where there may be too much pollution and other breathing issues on a hyper local level in each metropolitan area. The data will then be made available as a public dataset on Google BigQuery. Aclima has had a close relationship with Google for the past few years and this is not its first ride in Street View cars. The startup deployed its sensors in London earlier this year using Google’s vehicles and three years ago started working with the tech giant to ascertain air health within Google’s own campus as well as around the Bay Area. That initial research now enables Aclima to scale up with Google’s Street View cars in the hopes of gathering even more data on a global basis. Google Street View cars cover the roads on all seven continents and have driven over 100,000 miles in just the state of California collecting over one billion data points since the initial project began with Aclima in 2015. The first Street View cars with the updated Aclima sensors will hit the road this fall in the western United States, as well as in Europe, according to the company. “These measurements can provide cities with new neighborhood-level insights to help cities accelerate efforts in their transition to smarter, healthier cities,” Karin Tuxen-Bettman, Program Manager for Google Earth Outreach said in a statement.